A classically styled shoulder bag with a generous amount of space. Practical yet still elegant. 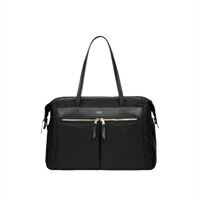 Knomo Curzon Notebook Carrying Shoulder Bag 15" - BlackA classically styled shoulder bag with a generous amount of space. Practical yet still elegant.